Grigori Kovalenko (b. 2995 - d. ????) was a mercenary MechWarrior best known for piloting Ilya Muromets, a modified Cataphract, and for a personal crusade to vanquish all Cataphracts that were in the hands of enemies of the Capellan Confederation. Born in 2995 on the Free Worlds League planet Hassad to a family that had lived in the Capellan Confederation for generations (until Hassad was taken by the League in 2917), Grigori Kovalenko's reverence for the concepts of honor and heritage would lead him to join the 12th Star Guards mercenary unit largely for their lineage stretching back to the Star League. Kovalenko's piloting skills earned him a place in the unit's Second Regiment and control of a serviceable if aging Centurion. He would dutifully serve with the Guards during contracts with both the Federated Suns and Lyran Commonwealth up until the start of the Fourth Succession War in 3028. Kovalenko felt the war was a dishonorable sneak attack against the Confederation. He left his unit with his Centurion and offered his service to the Confederation. The Federated Suns' capture of Tikonov and Earthwerks Incorporated's production lines for the Confederation's new flagship heavy BattleMech, the Cataphract, during the war would also dramatically shape Kovalenko's future, leading the to launch an almost knightly quest to retake all Cataphracts in non-Capellan hands. Before long, he defeated and captured a Davion-piloted Cataphract to replace his aging Centurion. Kovalenko named his new 'Mech "Ilya Muromets" after the legendary knight of Slavic myths, and emblazoned it with the Cameron Star of the Star League as a nod to his time with the Twelfth Star Guards and their connection to the SLDF. Kovalenko would continue his grand crusade for "justice" for the next 21 years, using the salvaged remains of the 'Mechs he had defeated to repair and refit his own, heavily modifying it from the stock configuration. As of ca. 3050 it was reportedly armed with 2 Medium Lasers, 2 AC/5s, 1 AC/10, and 1 Small Laser. Grigori Kovalenko and his "Ilya Muromets" was created specifically for MechWarrior Online, the developers citing the lack of historical characters or 'Mech variants with suitably different weapon ie hardpoint layout in the pre-Clan Invasion era for use as a Cataphract Hero 'Mech (Cataphract George being easily replicatable with the CTF-2X variant). 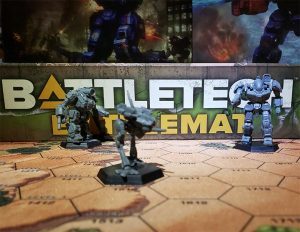 It has meanwhile been established that the existence and background information for all MWO Hero 'Mechs is fully canonical for BattleTech, although this does explicitly not include their exact configuration. 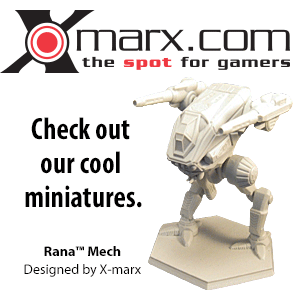 MWO uses a decidedly different system for construction and modification, and designs conforming to MWO rules may not be valid under classic BattleTech construction rules. Kovalenko's backstory possibly conflicts with currently available sources for the Fourth Succession War which indicate the Twelfth Star Guards were not preparing to fight against the Confederaton and were instead fighting for the LCAF against the Draconis Combine as part of Operation Götterdämmerung, with the Second Regiment capturing Cebalrai. However, since the Lyran Commonwealth and the Federated Suns were allies in the war they could be regarded as a single faction. While it was established that Konvalenko's family had been in the Confederation for generations until Hassad fell to the Free Worlds League in 2917, it should be noted that Hassad had actually already fallen to the League in the Second Succession War and was mapped as a League planet by 2864. Apparently, the Confederation reclaimed the world at some point before losing it again in 2917. ↑ Fourth Succession War: Military Atlas Volume 1", p. 45 "Draconis Front - Operation Götterdämmerung"
This page was last edited on 20 March 2016, at 06:50.